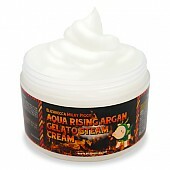 Radiant your Skin Care with the [Elizavecca] Aqua Rising Argan Gelato Steam Cream 100g! we aim to provide you best korean products to take good care of your skin, including Cosmetics, Moisturizer, Cream. Hydra Cream online. 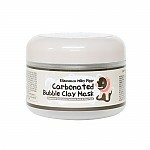 This steam cream moisturizes your skin and there is no stickiness when you apply on your skin. Smooth texture makes you to apply the product easily. Apply appropriate amount of cream during your skincare routine.